It is true that good AnR falls in love with a band at least once a week. After all, this is what we do – our job is to find a new talent, recognize its potential and bring it to the public/record label/press attention. We are constantly on the move. From one venue to the other, from Soundcloud to Youtube to Bandcamp. Our feelings change like a kaleidoscope. A band we saw few weeks earlier and we thought were rubbish will win our hearts at the next gig. A singer we heard today and we thought was excellent, will be deemed pale and stale next week when somebody better comes along. Panta Rhei, a great philosopher once wrote. Everything has to flow, change and improve. In normal circumstances, we will come to see a band several times before we make up our minds. One bad gig will not cross our your chances, several good ones will only strengthen our resolution to help. Sometimes, however, magic happens. This is what we wait for, why we roam the darkest, smallest dive – bars and open mic nights. Very, very rarely, a band will enter the stage and within 10 seconds we know we have found a gem. It happened to us with The Blinders, The Americas and Children of the State. And with Raptor. The first time we saw them live, it was an electrifying feeling. Like a thunderstruck or a solid punch in the guts. Your hair stands on ends, there is a chill running up and down your spine. You gasp in an absolute awe, with your mouth open and you watch the pretty colors and listen to the most beautiful music in your life. We exaggerate a bit, but the feeling of surprise and amazement is real – this is an act you know you will be working with. Call it a sixth sense – we can spot a good material for rock and roll greatness from a long way and assess them in a matter of seconds. And once we are in love, we do everything what’s in our power to help. In majority of cases, we invite the chosen act to sit down with us and talk about their beginnings, music, influences and plans for the future. We learn more and more about the band. We research, gather links and materials about them. We become experts. This is the only way we can help – you need to know the band like a back of your hand. Talking to Kurt and Adam Fletcher was a pure pleasure – another proof that our intuition was correct. 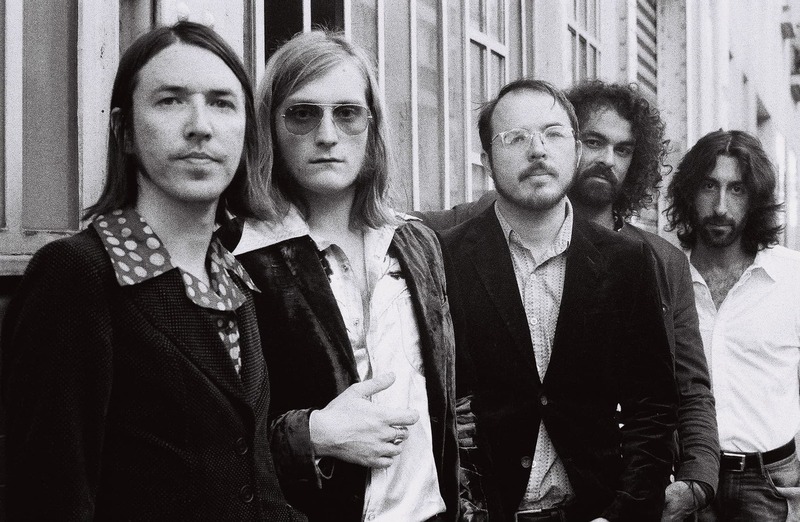 Ladies and gents, please welcome the masters of psychedelic rock to our humble blog. 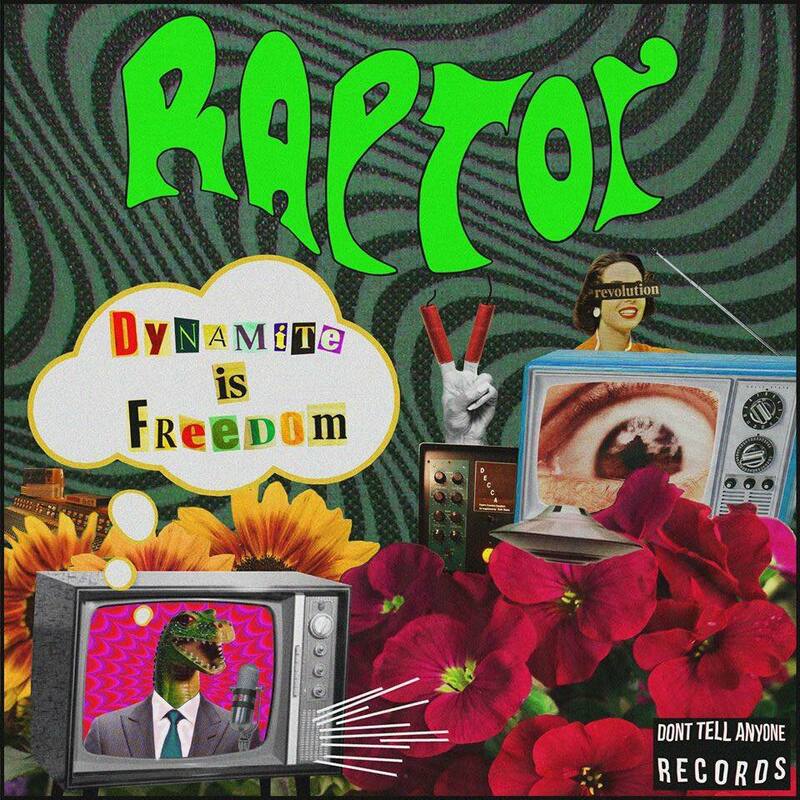 Raptor are a psychedelic rock trio comprised of brothers Kurt (guitar/vox) and Adam Fletcher (drums) and Nick Osborne (bass) based in Bristol. The band formed in the quiet depths of rural Herefordshire, released their first offering simply entitled “E.P” on Friday, 13th February 2015 to critical acclaim, showcasing their fuzz driven guitar grooves and hard-hitting drums. 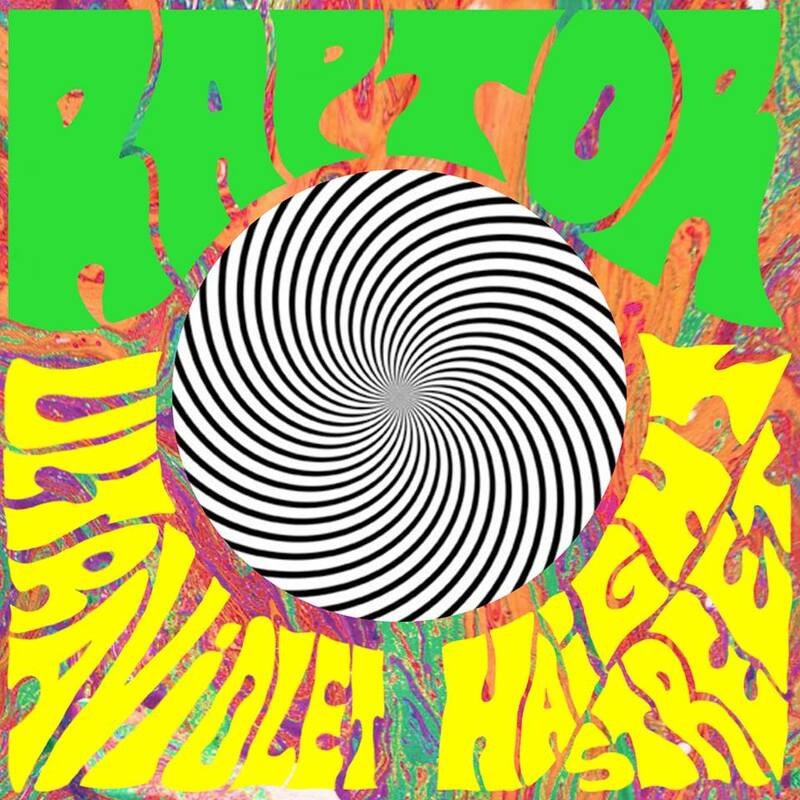 June 2017 saw the release of Raptor’s double single “Ultraviolet/Haight Street” that has since received raving reviews from BBC Introducing Hereford and Worcester, Bristol Live Magazine, Bristol 24/7 and Rock Radio UK among others. 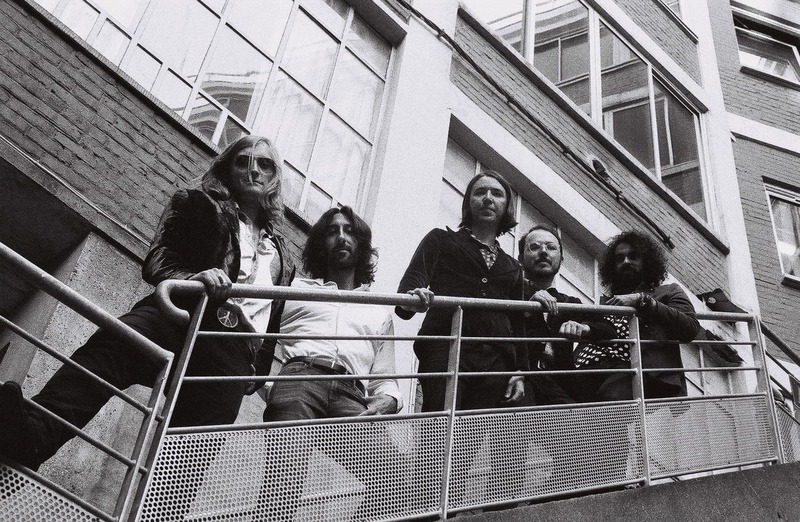 Their electric performances won them acclaim from Scott Holiday (Rival Sons) and Verden Allen (Mott The Hoople) and allowed the band to open for Robert Plant, Mick Ralphs (Bad Company) and Dr Feelgood. 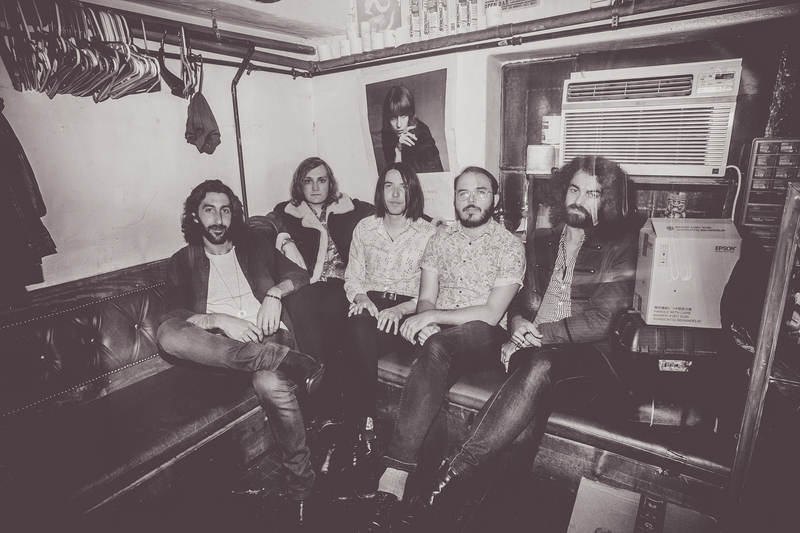 In May 2018, the band signed to Don’t Tell Anyone Records (DTA1) and their new single “Dynamite (is Freedom)” was released on 31st July 2018. Raptor have currently completed writing of their full-length debut album and the record is set to be released this autumn via DTA1. According to your biography, Raptor is a trio consisting of two brothers and a friend. You formed in 2014 in Leominster but currently reside in Bristol. Please introduce yourselves to the readers of our blog. Kurt Fletcher: Hi guys! We are Raptor and the band is made up of me (guitar/vocals) and my brother Adam (drums), currently we’ve got our friend Nick Osborne on the bass. Psychedelic rock seems to have a certain fondness for reptiles. There was T.Rex, Thin Lizzy, Tuatara and now, there is Raptor. Did you chose the name to fit right into this trend or was there any other reason to come up with it? 2015 saw the release of your 5-track extended play curiously entitled “E.P.”. To make it even more unusual, you have decided to publish it on Friday the 13th. It received very favourable reviews. Can you tell us more about it? Kurt Fletcher: We spent a long time searching for a studio and decided to record at The Forge in Warwickshire with Tom Gittins. Tom’s place is really cool and was haunted by a friendly ghost called Millie! She’d mysteriously move the camera that was facing Adam whilst we were recording drums on Get Down…. Spooky! Raptor fans must have the patience of a saint, as you made them wait for nearly two years before you released any new material. 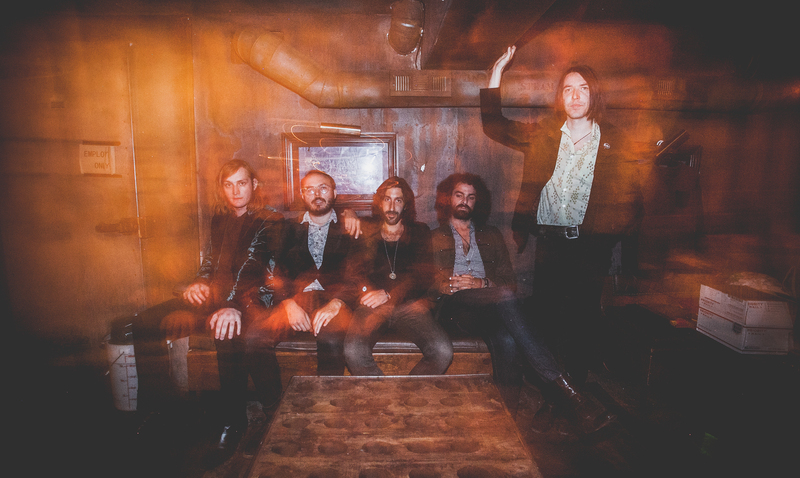 Your next double single “Ultraviolet/Haigh Street” was very different than your debut. It was more aggressive, more edgy and less bluesy. Your style also evolved considerably and we can hear obvious prog-rock inspirations such as early Genesis or even Van Der Graaf Generator! Where were you doing during the break? Practicing, getting better and recording? Kurt Fletcher: Thank you! To be honest it has all felt like a really natural progression as both before and after our EP release we were gigging hard. We were only 17 and 19 so Ad was starting college studying studio engineering and I was about to go to the BIMM Bristol Uni studying all aspects of music performance. Because we had such a gap between recording we listened to so much different music – we made a conscious decision to really push what we were doing in the studio, Adam was getting more into production while I was getting more interested in songwriting. Your new sound has been compared to King Gizzard and Lizard Wizard, Jefferson Airplane, King Crimson with a lot of Oasis and psychedelic Arctic Monkeys thrown into the mix. Are those your influences? What type of music are you listening to at this moment? Adam: I’ve been listening to some Queens of The Stone Age, Tame Impala, Joe Walsh(Eagles), Nirvana and a little funk like James Brown and The Meters… lost of very different genres.. all far too loud. Kurt: I’ve blasting a lot of Frank Zappa, Uncle Acid and David Bowie. 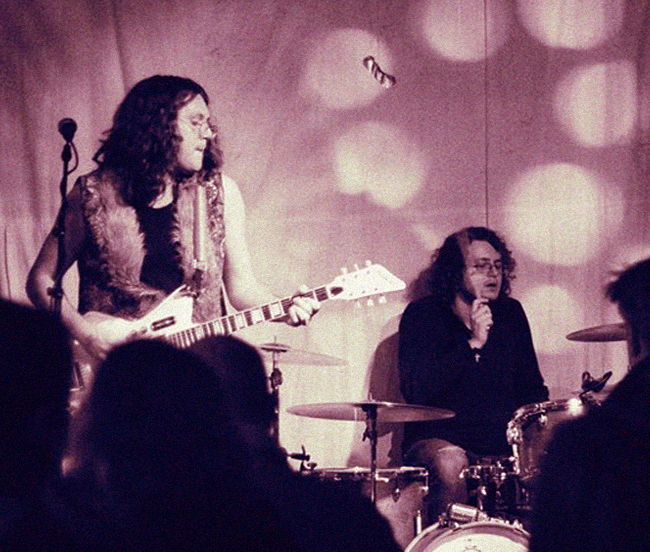 Tom Waits, Demob Happy, The Stones and Santana are favourites of ours. 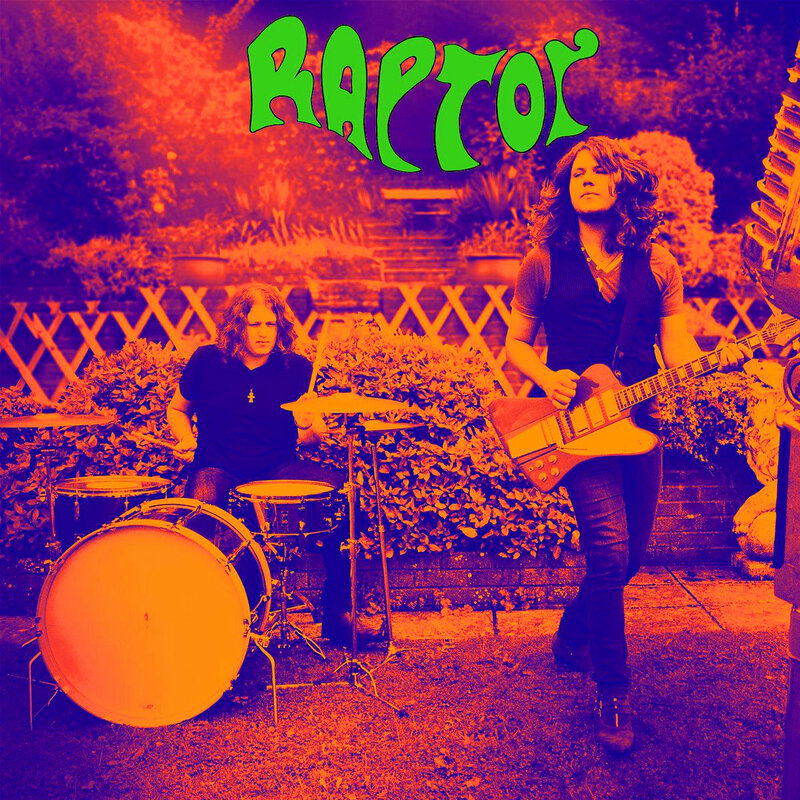 Raptor received praises from the biggest names in the industry such as Scott Holiday of Rival Sons, Verden Allen of Mott The Hoople and even legendary Robert Plant. He invited you to open for him. Do you remember this gig well? Kurt Fletcher: It’s always amazing to meet people you respect so highly and it’s an honour to play with them! Scott and Verden are good friend of ours, we’ve had some great nights out with Verden, he still parties as hard as back in the day! Go check him out playing blistering Hammond organ in the All the Young Dudes vid on YouTube. Adam Fletcher: The Robert Plant gig was so fun! He lives relatively close to where we grew up, there were rumours all the time about Planty showing up at someone’s gig. I remember on the night half way through a drum solo turning around and seeing Robert Plant watching me through the curtains… I lost my mind. He graced the stage after us and opened with When The Levee Breaks.. it doesn’t get any better than that! I spoke to him after and he was so kind and great conversation…. what a night! Just last month, you have been signed to a proper independent label. Congratulations! How did your co-operation began? 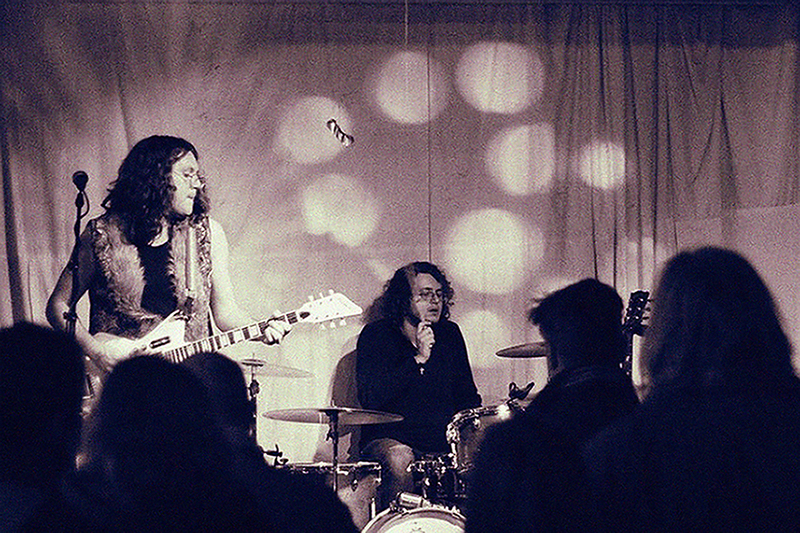 Kurt Fletcher: Alex Andrews, who runs Don’t Tell Anyone Records (with his business partner Sam) asked us to play a show with his band Stone Cold Fiction in Bristol this April and we got on great! After meeting with Alex again we started making plans. DTA1 is an independent label and is all about helping one another out – He put out King Gizzard and the Lizard Wizard’s record last year and released our new single ‘Dynamite (Is Freedom)’ in July this year. You have new record deal and a brand new single “Dynamite (is Freedom) out right now. What is the song about? 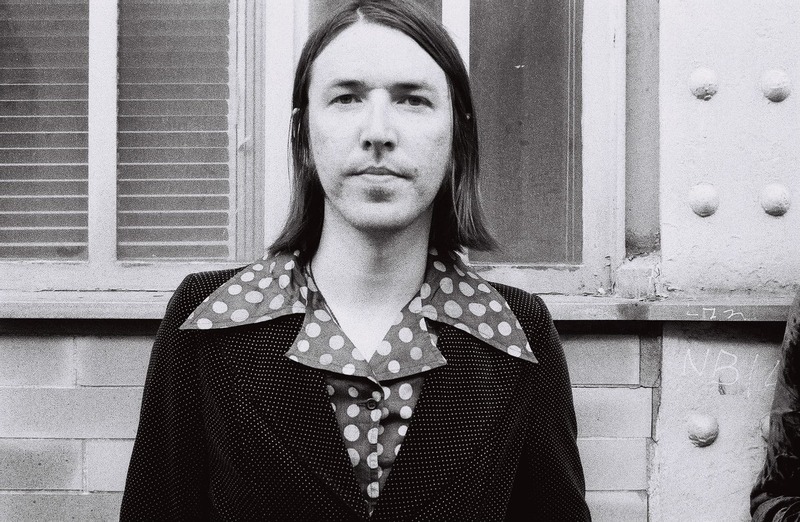 Kurt Fletcher: It’s difficult to give Dynamite (Is Freedom) a direct meaning as it was written over a period of months – soaking up different inspirations along the way. There are cynical parts to it as well as elements of dystopia, it talks about accepting the situation you are in and learning to come to terms with things. Did you have fun recording it? Adam Fletcher: Recording this record has been some of the most fun we’ve ever had and we are extremely pleased with what we’ve done. It was recorded at Bink Bonk with Mat Samson (Turbowolf/Kasabian) in Bristol with analogue and digital gear… We chose to track live without a metronome to capture the sound and energy of our live show. Mat is as mental as we are which meant for a lot of sonic experimentation using a collection of vintage amplifiers, effects and audio rarities including vocal mics owned by The Beatles used on their last three albums (and the rooftop gig), guitars amps owned by Motörhead and a Reverb unit owned by Pink Floyd and used on The Wall! If we’d like to see you live, where do we go? Do you have anything lined up? What can we expect from Raptor in the next few months. Go on and surprise us! Kurt Fletcher: We’re set to release an album this September, other that that we’ll be collecting strange gear, drinking around Bristol and working on new songs! We are going to see Raptor play live in Manchester on the last date of their tour, so please be prepared for an massive update to this interview. There will be pictures, filmed performances and maybe a flash video-interview! We love coming back to the Kingdom of Mancunia and we know we will have a fantastic time. Please join us and have a good day .